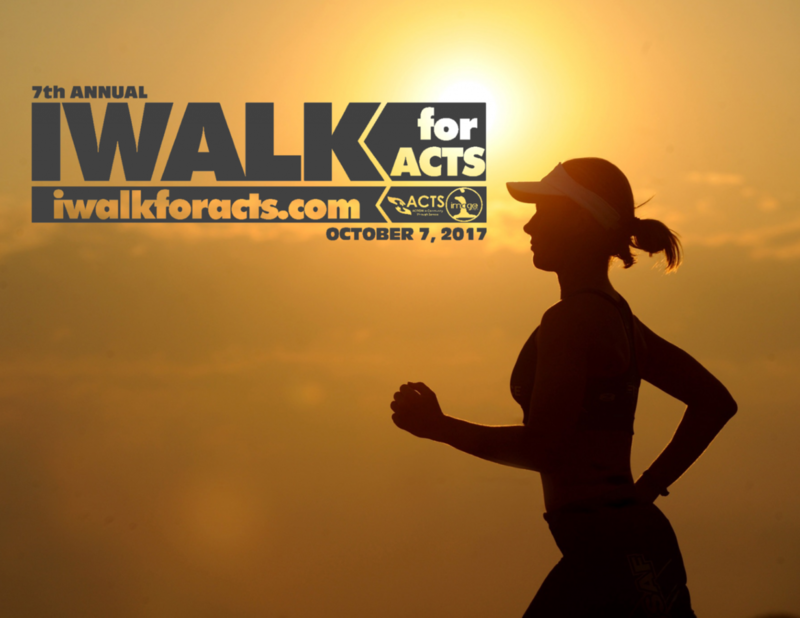 We can’t wait for Saturday’s 7th Annual IWALK for ACTS. There’s still time to register for the 5K! Following the 5K, the community at large is invited to join us for a FREE family festival from 10 a.m. – 2 p.m. at Stonebridge at Potomac Town Center (14900 Potomac Town Place, Woodbridge). We will be filling the main street with activities and entertainment for the entire family. You won’t want to miss this fun, fall Saturday! We have a few vendor spots still available. Interested in partnering with us? Learn more here. Be sure to stop by the ACTS’ booth. We’d love to meet you and share more about our programs and services. See you this Saturday!